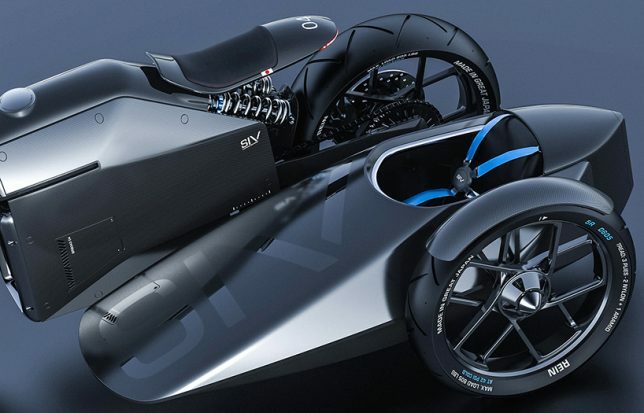 This futuristic, sci-fi influenced concept by designer duo ‘Great Japan’ envisions a graphically oriented approach full of clean lines and fluid shapes, even down to the sidecars and other accessories. 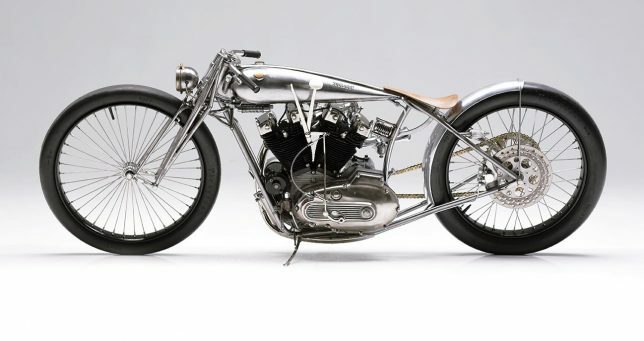 “I wanted it to be finished like a Steinway piano; jus make sure you hang on when you twist the throttle,” said designer Maxwell Hazan of his Musket concept, a gorgeous minimalist design boasting an engine that was hand-carved from a block of wood, hand-cased at a foundry and then hand-machined. 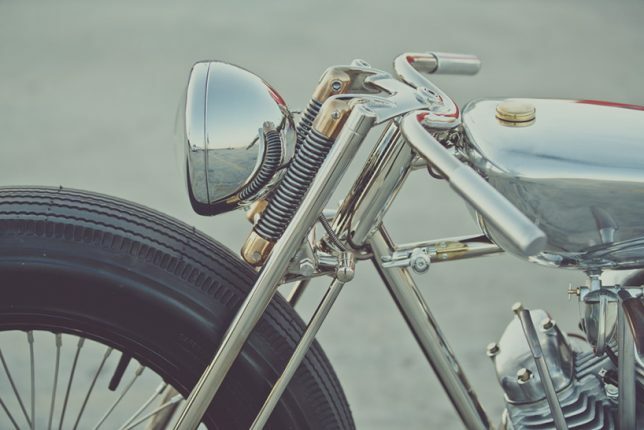 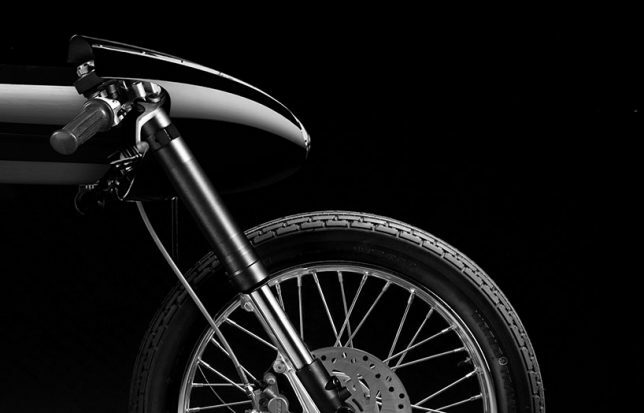 All cables and wires are hidden and the handlebars are low to maintain the distinctive profile. 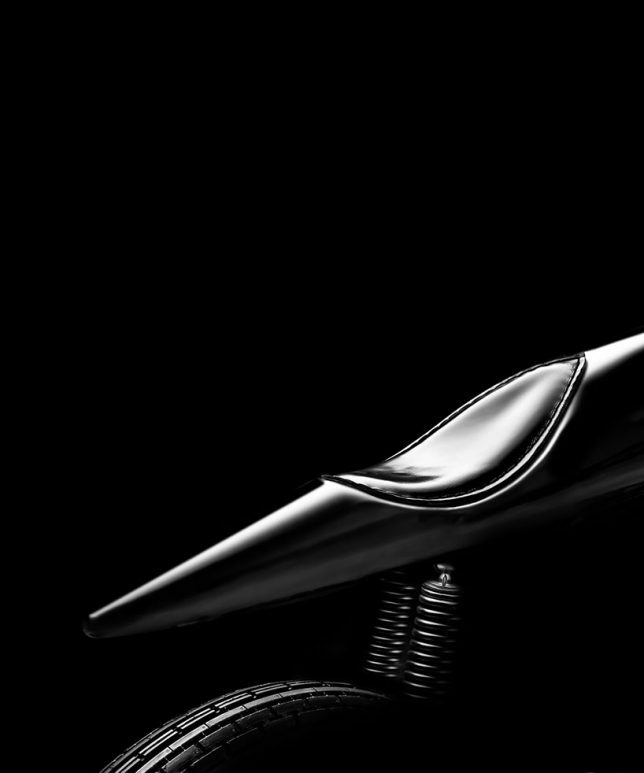 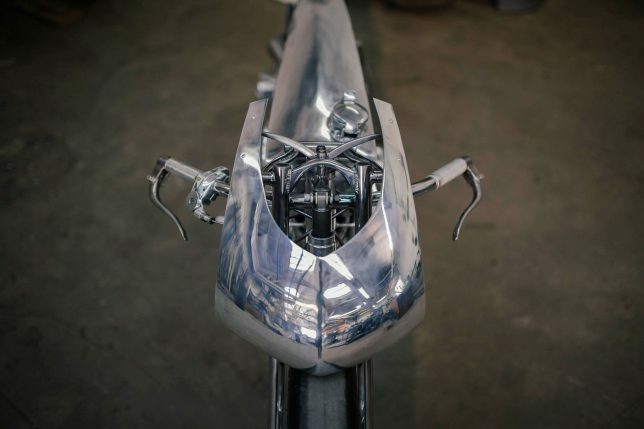 The EVE Liquid Black motorcycle by bandit9 features a bullet-shaped tank and a streamlined, seamless unibody made from a single bent sheet of stainless steel. 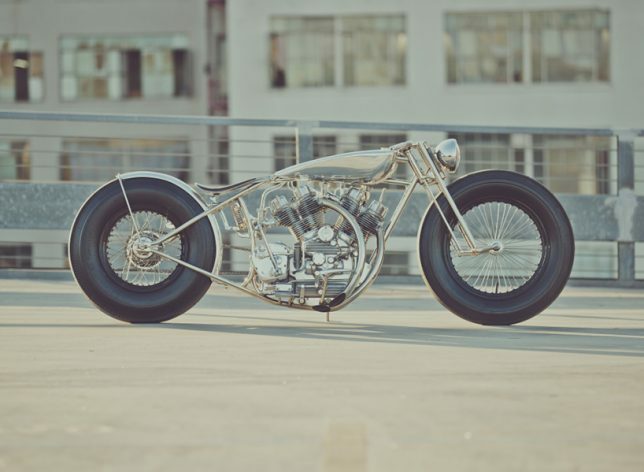 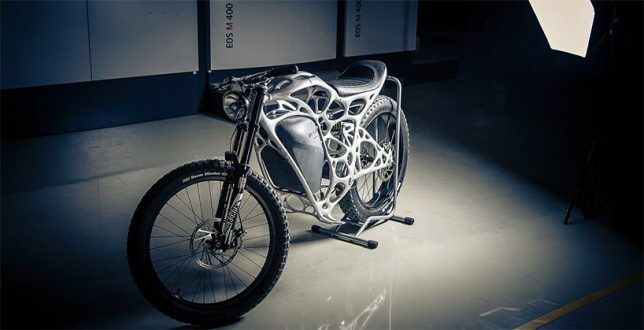 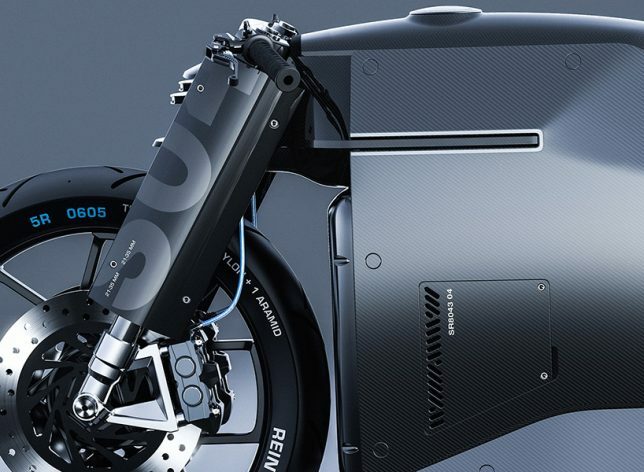 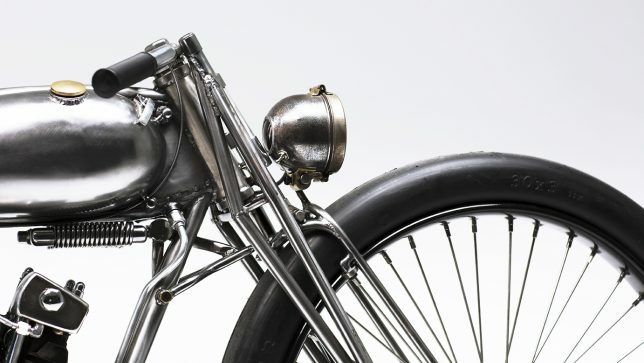 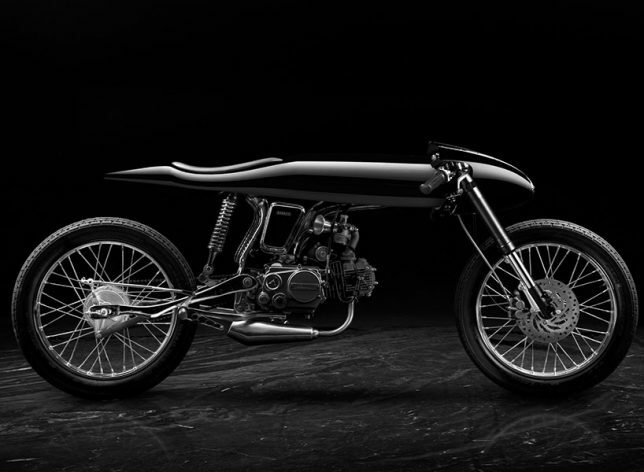 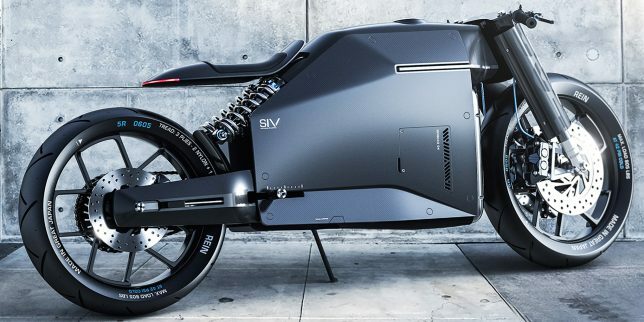 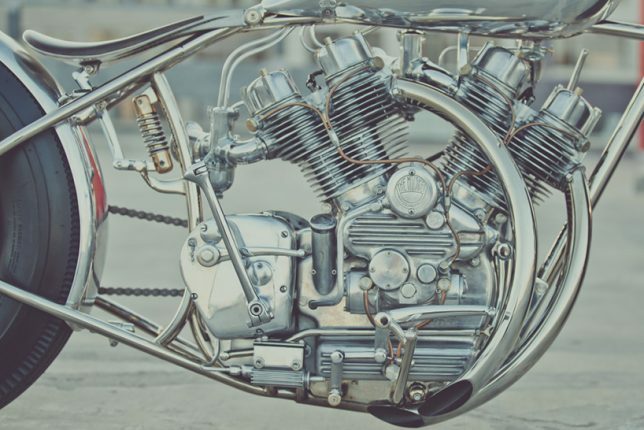 The bike is built entirely by hand and only nine units will ever be made.